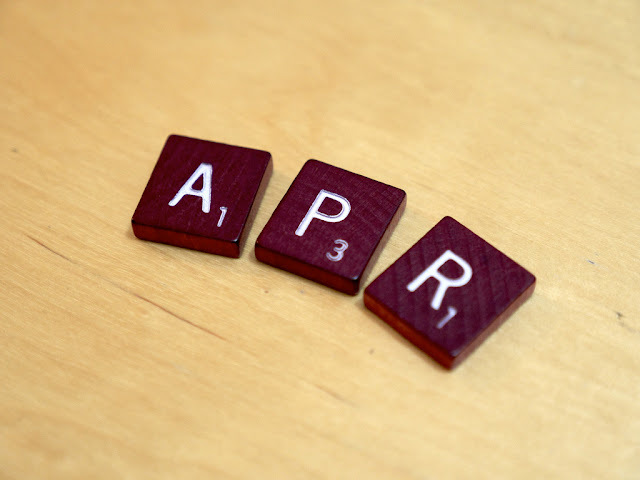 Given the importance of APR, or Annual Percentage Rate, on people’s everyday lives, it makes sense for people to find out as much about APR as they can. If anything has a huge impact on your life, it makes sense to determine what is going to have an impact on your life and then make sure that you make decisions that can improve your life. If you are keen to make the most of life, or improve your finances, you’ll find that understanding APR is likely to be the most important aspect for you to get your head around. Every lender and bank is legally required to provide an APR. This is to help customers and clients make a better comparison of the cost of credit. The APR contains fees that are imposed at the agreement but they do not include any loans that would be added if the borrower missed any payments or breached any of the conditions of the loan. The APR assumes that all of the credit is repaid over a year but any agreement which is over a lengthier period of time will divide the total to present a figure that stands for a year. This means that you can make a genuine comparison based on the associated figure for a year. While this is very useful for comparing loans that are paid back over the course of a year, there have been some complaints over the way APR looks for a short term loan. The vast majority of complaints have come from the lenders that offer short term loans but it is important to know exactly what you are getting into and if you are keen to compare different loans, you need a level platform to do so and this is why the APR is vital. Of course, the APR is just the starting point when it comes to comparing the cost of a loan or the cost of finance. You need to work out how much money you are expected to pay in total and the amount of money that you will pay each month. This is why you should be looking to choose a credit provider that details this for you, and many offer a loan calculator on their website. This means you can make a quick and easy calculation on the amount of money that you have to pay each month. If you cannot afford to make this payment each month, or it is leaving you close to the edge of your finances, you may decide that it is better to choose a more affordable option. While many people may think that they don’t have too many options when it comes to finance and credit, it is important to realise that you can always say no. Too many people find themselves having to take a short term option even though they know that this may be more damaging in the long term. However, short term thinking leads to major problems and this is an area where people have to be stronger and more clinical in their thinking. There is an option that can provide people with finance at a more affordable rate of APR and this is one reason why so many people have been opting for guarantor loans in recent years. A guarantor loan sees the lender looking at the credit score of the guarantor as opposed to the applicant, so you should look into this type of finance to see if it is more suitable to your needs and expectations. With finance becoming an ever increasing part of people’s lives, you need to make sure that you make the best decision for your needs. There are people who say that APR doesn’t tell you everything and of course, there is no 100% way to judge what you are looking for. However, if you have access to the APR provided by a bank or credit card company, you have the starting point to make comparisons between different options. You may not have many options available to you when it comes to finances but if you have more than one option to consider, you’ll find that making a comparison between them is essential if you want to improve your finances.